There are numerous injuries that occur at construction sites every year. Construction companies are required by law to make reasonable accommodations to ensure a safe working environment. A failure by the construction company to keep a working environment safe may constitute negligence. A severe injury to anyone is catastrophic. However, a severe injury to a construction worker can be devastating. Construction work is usually heavy duty and there is frequently little or no light or moderate duty work available. As a result, a serious injury to a construction worker can mean a loss of career. In addition, tradesmen are usually well paid and have excellent benefits. It is almost impossible for an injured worker to find a comparable job. An injured construction worker must ensure that they are justly compensated for their injuries as well as their loss of past and future income. If you have been the victim of an accident, call Rotolo Karch Law. 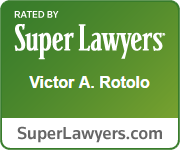 Victor Rotolo has spent his life protecting people, first as an Elizabeth, NJ police officer and now as an attorney. Victor, Steve, and the attorneys at Rotolo Karch Law have the experience to advocate for your rights. Accidents and injuries that occur on construction sites present two different types of legal actions. A great many of the types of injuries that occur on construction sites are "workers' compensation" claims. These "workers' compensation" claims involve an injury caused by either the negligence of the construction worker or a co-worker or the employer. These types of claims are governed exclusively by workers' compensation laws. There are also injuries that occur at construction sites that may not be caused by the worker himself or by the employer or by a co-worker. An injury may be caused by a person that is not employed by the same employer as the injured worker. This outside person or company is known as a "third party." A "Third Party Claim" is not governed by the exclusive provisions of the workers' compensation laws. Thus, a construction worker who has been injured due to the negligence of a third party (a person or company not employed by the injured worker's employer) can file a lawsuit in the civil court system to recover damages to compensate him or her for injuries. These laws can be very complicated. Construction sites may also pose potential hazards for pedestrians and motorists. An innocent bystander or passing motorist injured in a construction accident may also be eligible for compensation through a personal injury lawsuit. These lawsuits may be filed in the civil court system since the innocent bystander or motorist is not employed by the entity causing the accident. Personal injury lawsuits involving construction accidents can be very complex cases with more than one responsible party. Such cases require the services of an experienced attorney. 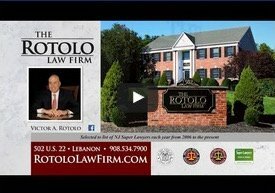 Victor A. Rotolo, certified by the New Jersey Supreme Court as a Civil Trial Attorney has the experience to handle your accident case. By law, if you have been injured, you have only a limited amount of time to file a claim. Contact Rotolo Karch Law to determine your rights to compensation. 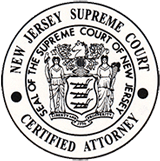 Victor A Rotolo successfully argued and won the case of Pfenninger v. Hunterdon Central High School before the NJ Supreme Court. This was a leading construction negligence case that was litigated over a period of eight years. The construction worker's widow and her children were awarded a 7-figure settlement. Any client satisfaction and/or past performance information presented on this website is not an indication of future outcomes. Results from the past do not guarantee future results; each client case is unique.